I’ve always wanted to have the traditional Southern American style Cornbread recipe. 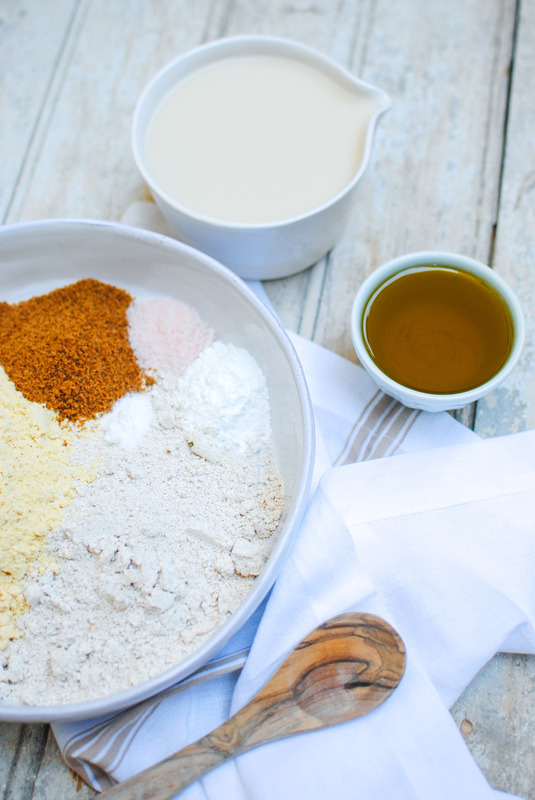 Rich and decadent, the original recipe usually asks for ingredients I don’t tipically use in my kitchen, so I decided to develop a healthier version, with whole flours and overall real ingredients. This will be a savoury cake kind-of-thing, with which you can have soups, hearty stews, shakshuka, chili… Your imagination is the limit! For a more exquisite touch, I recommend adding to the dough other ingredients such as sliced olives, chopped dried tomato, fresh or dried herbs. 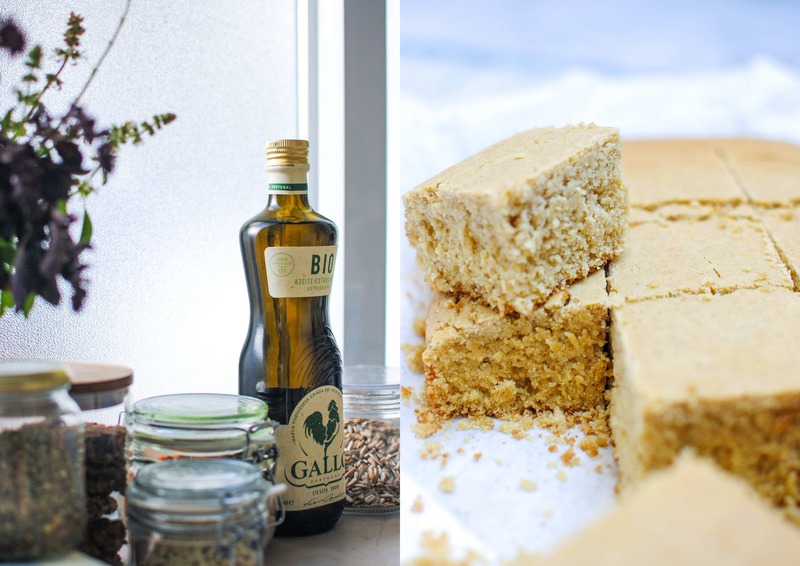 Some say that cornbread isn’t cornbread without butter, but I find that Olive Oil goes so great in this recipe, giving it that extra savoury touch, and preventing it from becoming harder and drier after cooling down. Choose a good quality organic and extra-virgin olive oil. My choice is Gallo Bio. On a side note, and as my secret to you, definitely try this one still warm from the oven! 1. Preheat the oven to 180ºc and line a 22x22cm baking tray with parchment paper or silicon sheet. 2. In a large bowl, add all dry ingredients. 3. Make a simple buttermilk by mixing plant milk with vinegar and let sit for 5-10min. 4. 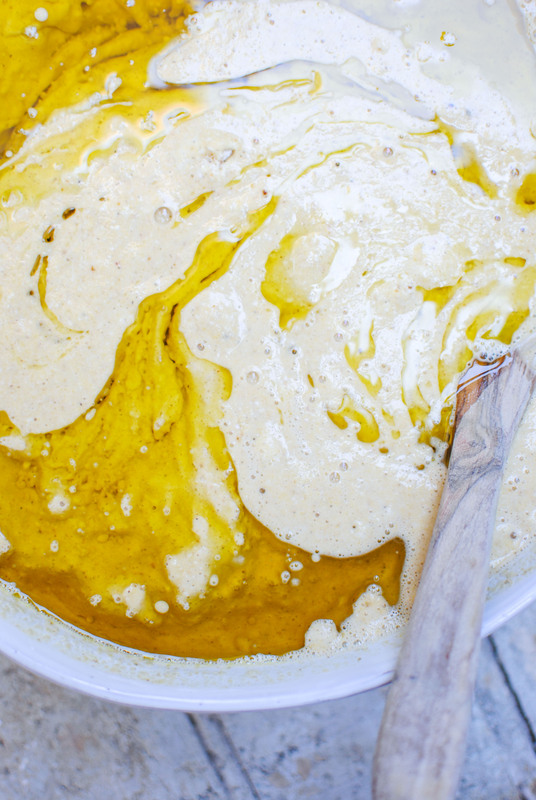 Add olive oil to buttermilk and add to dry ingredients slowly. 5. Incorporate well with wooden spoon or spatula. 6. Put the batter in the mold and bake for around 30 min ou until a toothpick comes out clean. 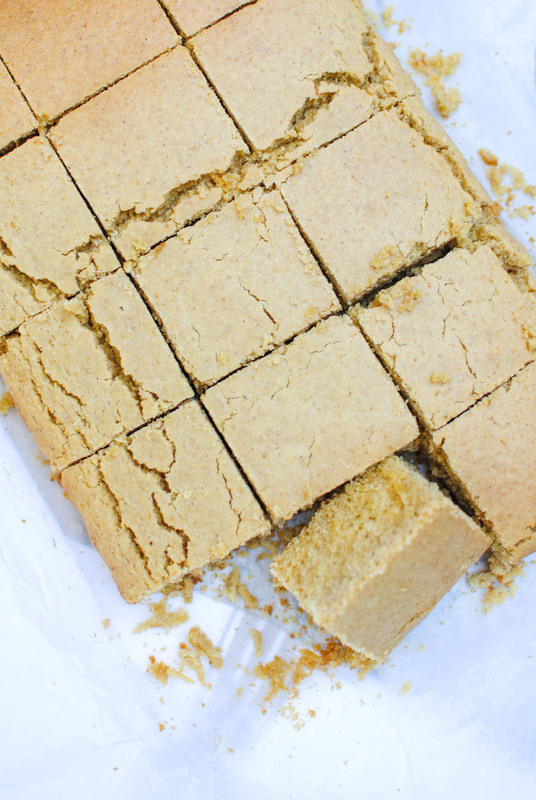 Let it cool down and enjoy this crumbly savoury cake!